I grew up singing old traditional hymns. I loved to worship singing them as a child and I love to worship singing them now. Few things draw me as quickly or closely to God’s presence as the simple, heartrending Near the Cross or the poetic strains of Be Thou My Vision. Yet I also love many of the contemporary songs being composed today. Sadly, people’s love for traditional or contemporary has often resulted in conflict and division within the Church. “Worship wars” rage on as people tout their tastes and preferences and all too often we act as though we are the object of our worship rather than God. 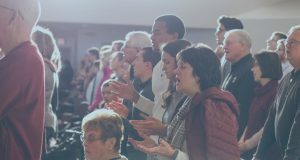 Amidst all of the clamoring there is a need for biblically-based explanations of the value of both traditional and contemporary worship music. Many Christians make a compelling case for the value of traditional hymns in the life of the Church, but I seldom even hear an attempt at defending contemporary worship music. It seems that people either have a taste for it or they don’t. Must personal preference drive the discussion? Or is there something about contemporary Christian music that commends itself to all those who worship God in song? Does the Bible indicate to us that contemporary music is valuable, even necessary, in the Church? To explore these questions let’s begin with the most glorious worship scene in all of Scripture. In Revelation 4-5 we get a glimpse of what worship ought always to be; unabashed praise and adoration of the creating and redeeming God. One of today’s most popular contemporary offerings, 1 Revelation Song, recreates this sacred space in our worship with lyrics that beautifully reflect the passage. Toward the end of Revelation chapter 5 we’re told that the elders and the living creatures “sang a new song” to the One sitting on the throne and to the slain and risen Lamb before the throne. There is something stunning in this creative and profound song that bursts forth. It is not only true and powerful, it is uniquely so because it is a song that has never before been sung. As we survey this wondrous scene we are reminded of the psalmists’ frequent encouragement (command?) to “sing to the LORD a new song” (e.g. Psalm 33; 40; 96; 98; 144; 149) and the breathtaking outcome of them doing just that. As the psalmists make clear, past songs—no matter how glorious and true—simply cannot give full expression to the glory and truth of God. New songs must be written that praise Him not only for what He has done, but for what He is doing. New songs praise a God who is living and active today. They express the supplication, thanksgiving, yearning and devotion of people who encounter God in the here-and-now, rather than the distant past. At the same time new songs put us in touch with singers of old—from Deborah and David to Wesley and Watts—who searched for new words and melodies to give full expression to their worship. For all that traditional songs can offer us they can no longer answer the call to “sing a new song”. To do this, each generation must offer its own original sacrifice of praise to God. The beauty of simplicity in worship. In reflecting on Revelation 4-5 I’m reminded of an experience at an International Worship Institute conference where Bishop Joseph Garlington was teaching about spontaneous songwriting. At one point in the seminar as he was teaching on this passage from Revelation he began singing in his rich, gentle voice, simply repeating the word “holy”. With one word and a basic chord progression he taught over a thousand of us a new song in a few moments. Soon we were singing along, many of us moved to tears. Oftentimes contemporary songs are criticized for their simplicity. Traditional hymns are championed as theological masterpieces that put to shame today’s anemic offerings. There may be some truth in this—though I defy any traditional hymn to surpass the theological breadth or depth of In Christ Alone, one of today’s most popular songs 2—but it misses an important reality about worship and theology. What Bishop Garlington did was not original; he was rediscovering a song that heavenly creatures sing to God all day and all night. They sing, “Holy, holy, holy…” and then they cover their eyes or throw down their crowns and fall on their faces before the One who is truly holy and therefore worthy of all worship (Isaiah 6:1-3, Revelation 4). 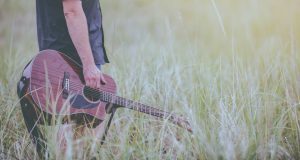 Simple praise songs, so common in the contemporary scene, have the power to convey awesome truth in a few humble, pregnant terms. In a way, they do for worship what modern translations do for Scripture; make it accessible to contemporary ears. We shouldn’t forsake the beauty of the King James Version or of the traditional hymns, but in a culture that struggles with literacy in general and biblical literacy in particular, simple songs invite everyone to a level place of worship at the feet of Jesus, the One who received the modest refrain “Hosanna” from the mouths of children as perfect praise. As we gather at the feet of Jesus to worship corporately we find ourselves indebted to those who lead us. With the prominent role that worship in song has played in Scripture and Christian history many would agree that worship-leading should be appreciated as a charism, a gift of grace. Like all spiritual gifts it is not given chiefly to the individual through whom it is manifested. Rather, it is given to the Body of Christ for the life and health of all. If God has given this good gift of musical creativity to the Body then we ought to make ample room for it in every generation. Contemporary song-writing and music composition provide an outlet for this gift. They provide an opportunity for Christians to receive the full benefit of the charism of worship-leading. Contemporary music opens the doors for new poets and new musicians to join the chorus of voices raised to God in song throughout history. And it invites the Church to let those voices lead them as they harmonize, not only with the words and melodies of past songwriters, but with their creativity and heart as well. The need for contemporary worship music. So it seems that there is more than personal preference at stake when we talk about the place of contemporary music in the Church. Contemporary worship gives voice to the new songs that are arising in the hearts of God’s people today. 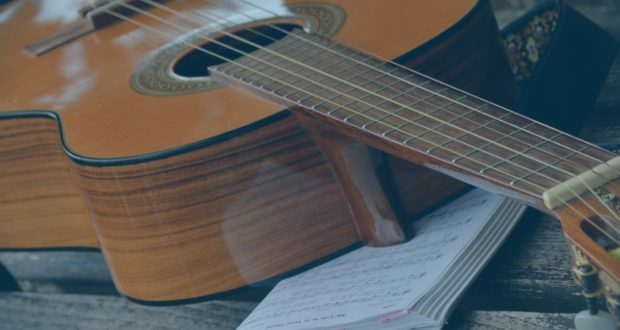 Contemporary music often conveys profound and complex theological truths in simple, accessible language that invites everyone into the throne-room of God. 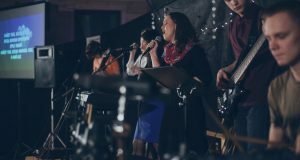 And contemporary worship facilitates the edifying work of one of God’s most precious gifts to the Body of Christ; those who have been gifted not only to lead, but to create songs of worship. Contemporary worship is not something we can take or leave as we like. It is something that the Church needs in every generation. So we join with the psalmist and call upon the people of God to “sing a new song” to the holy and worthy One! As Israel contends, it is unfortunate and revealing that a disagreement in personal music preference can cause division and “worship wars” within the body of Christ. As Christ’s followers, we are commended with the wonderful responsibility to reflect Him and point our circles of influence to Him. Becoming distracted by the division of personal preferences prevents us from fulfilling this awesome call. May we diligently keep our focus on the One we worship and allow Him to lead through us for His glory.